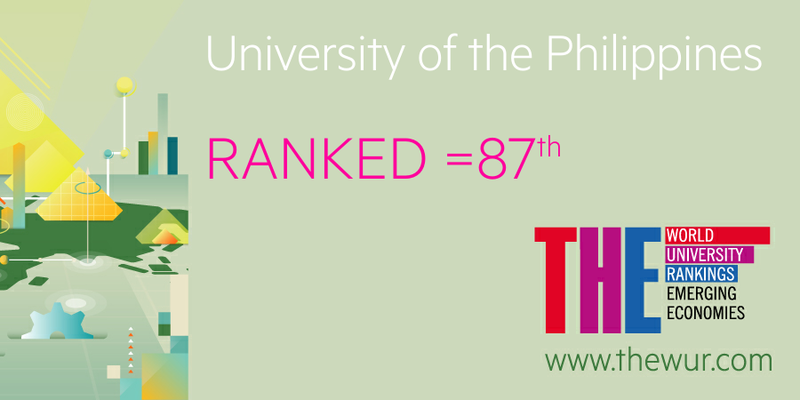 The University of the Philippines has climbed 79 places to move into the top 100 universities from emerging markets. 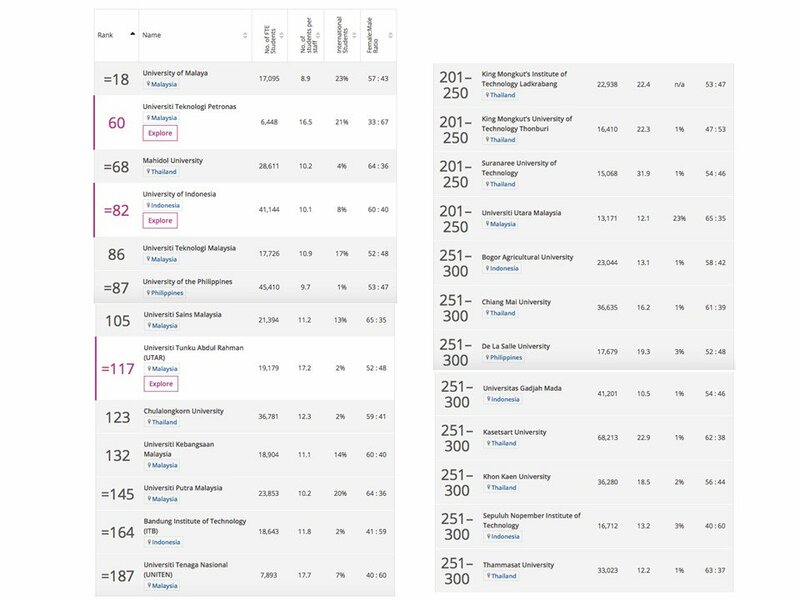 It is now 87th among 442 institutions from 43 countries, according to the 2019 Times Higher Education (THE) Emerging Economies University Rankings. Its overall score went up to 32.8 from 24.4. The series of positive outcomes for UP kicked off in 2017 when it surfaced for the first time in the rankings and was included in the 201-250 bracket. Last year, it cracked the upper half of the rankings as it ascended to 166th. Only countries classified as advanced emerging, secondary emerging or frontier economies based on FTSE’s quality of markets criteria are ranked. Brazil, Greece and South Africa are examples of advanced emerging economies while the Philippines, Russia and China are considered as secondary emerging markets. China leads the 2019 rankings and has seven universities in the top 10. Argentina, Cyprus and Jordan are among the frontier economies. UP’s best score is still for citations which jumped to 69.1. Citation numbers were extracted from more than 25,000 academic journals indexed by Elsevier’s Scopus database and all indexed publications between 2013 and 2017. Also apparent are UP’s sustained improvements in teaching and research, with scores at 21.7 and 16.4, respectively. 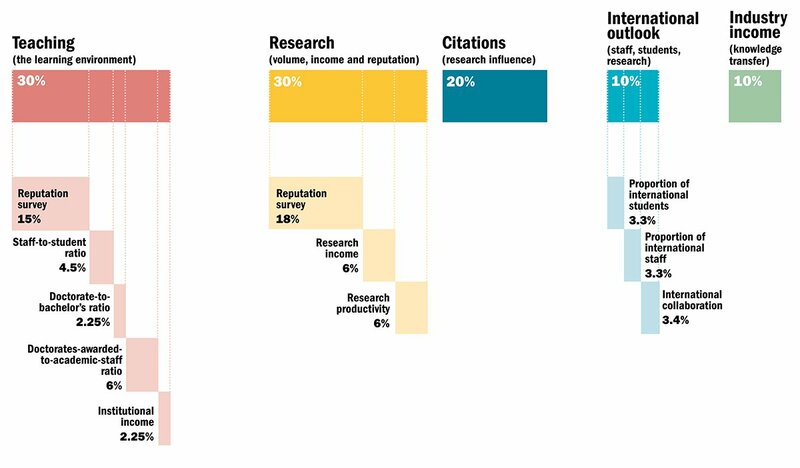 Teaching reputation and research reputation, the two most prominent indicators in these areas, are judged according to the results of the global Academic Reputation Survey. 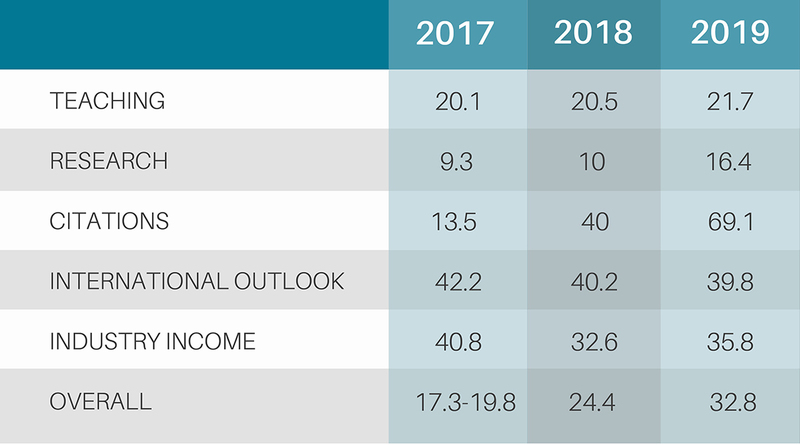 UP’s industry income score, which fell from 2017 to 2018, likewise picked up in the 2019 rankings at 35.8. The category suggests the extent to which businesses are willing to pay for research and a university’s ability to attract funding in the commercial marketplace. The national university registered another dip in international outlook although the movement has been minimal. International outlook takes into account research collaboration in addition to students and staff. 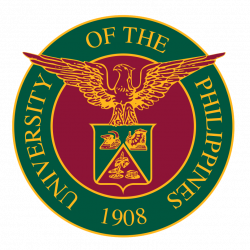 UP is one of only six universities from Southeast Asia that figured in the top 100. The other Philippine university in the list is De La Salle University, which landed in the 201-250 range. In recent years, UP has seen improvements in global rankings, due primarily to larger citation volume. It is the leading university in the Philippines and among the top universities in Southeast Asia.